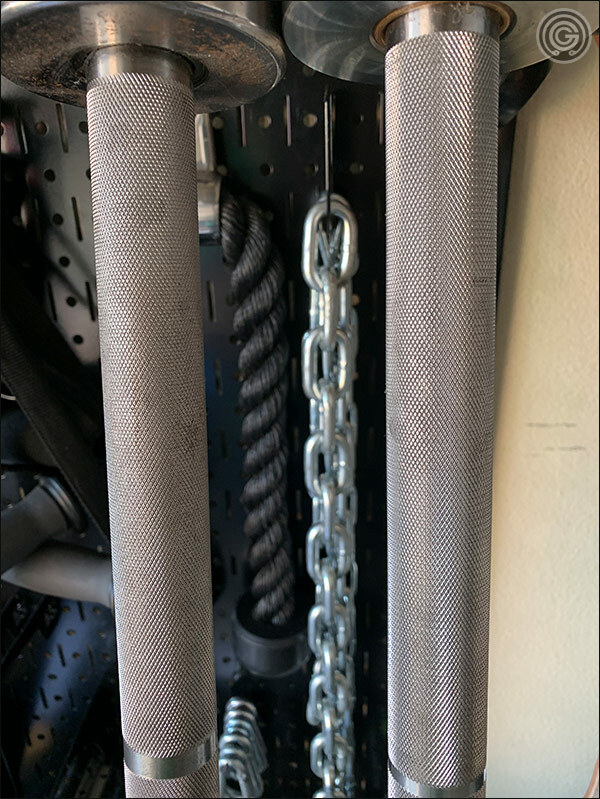 This is a review of the new 20 kg Starting Strength Bar; a bar developed and manufactured by Buddy Capps of Irving, Texas. 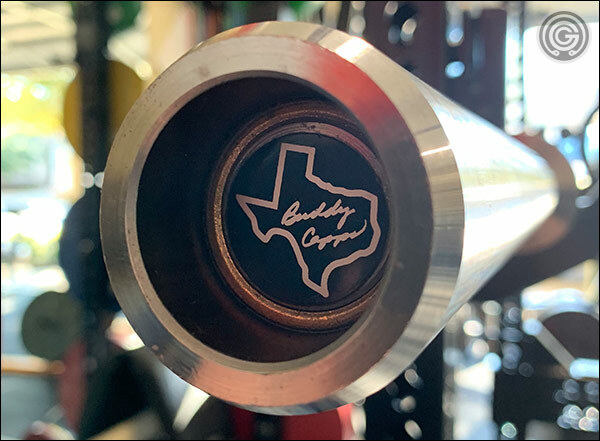 As many of you know, Buddy Capps of Capps Welding is the creator of the infamous Texas Power Bar; a bar still considered to be the gold standard in the power bar world by a great many veteran lifters. 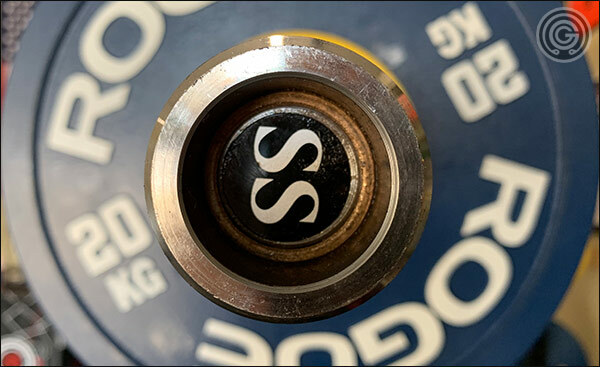 The 20 kg Starting Strength Bar is actually one of three bars designed by Buddy to be used as official equipment in all Starting Strength Gyms. There is the 20 kg variant which I will be reviewing here, and there is also a 10 kg and a 15 kg variant as well; three variants to meet the needs of all age and strength levels (remember that SS is a novice program after all). 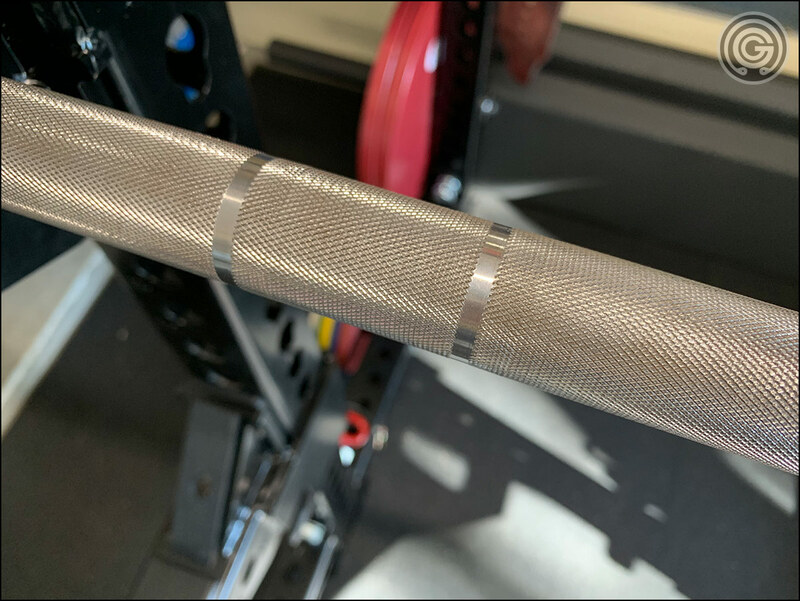 In this review I will be covering all the standard features of a barbell – the specifications and any special features, knurling, finish, performance, value, and so on. 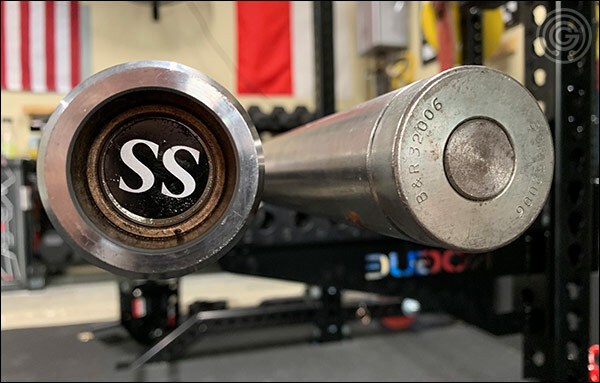 I will also compare the new SS Bar to the B&R Bar (Burgener & Rippetoe); the bar that many of you most certainly think of as the original Starting Strength Bar. Let’s get started! The Starting Strength Bar use oil-impregnated, cast bronze bushings, and they spin like a champ. I’m actually quite impressed with how well they turn over considering how simplistic the assembly is; which I’ll explain below. The sleeves of the SS Bar are made in typical TPB fashion. 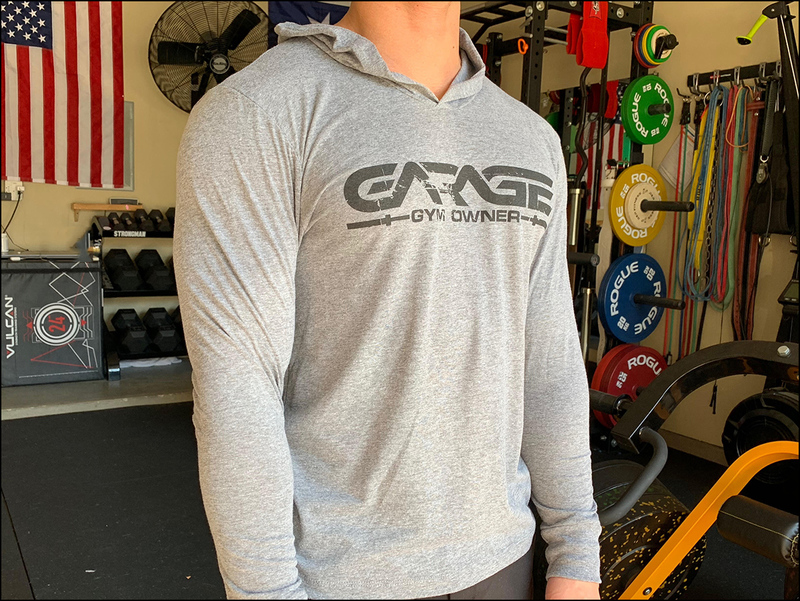 Rather than snap rings or a pin and bolt attaching the sleeve to the bar, Capps uses a pair of small pins that are driven into two holes at the end of the sleeves. These pins pass through a groove in the shaft, and this is what keeps the sleeve in place. Remove the pins and the sleeve slides right off the shaft. It is a very unique and aesthetically pleasing way of assembling a barbell. Personally I think it’s super classy (and it makes maintenance very easy). The collars of the Starting Strength Bar are super chunky. Since the distance between the sleeves is still to spec these massive collars result in less loadable sleeve length. For you bumper plate owners, this can be a bummer on deadlift day. One final interesting feature of the Starting Strength Bar’s sleeves are the beveled sleeve ends. These allow for slightly easier loading of your plates; especially calibrated plates like the Vulcan or Rogue Competition Discs. 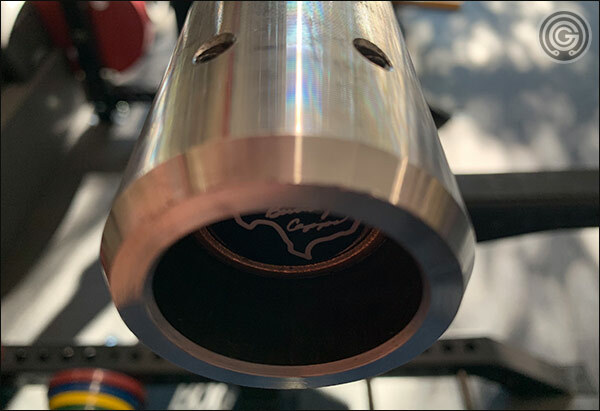 It’s my understanding that Capps is using the same shaft for the Starting Strength Bar as is used for the Texas Power Bar; a 28.5 mm in diameter, unfinished, 190k PSI tensile strength steel shaft. 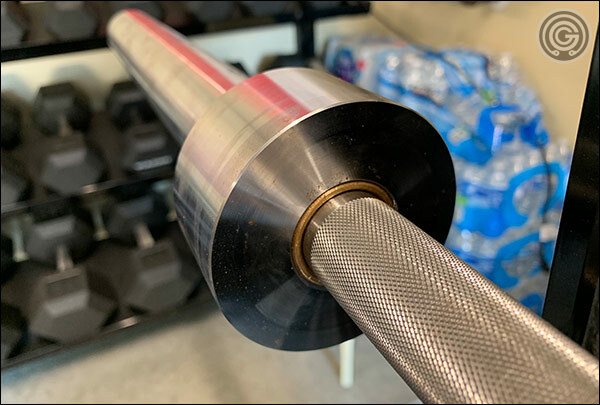 Of course, the knurling is very different on these bars, and the Texas Power Bar isn’t a dual-marked bar, but it’s definitely not at all uncommon for a manufacturer to use the same bar shaft among different bars even if they aren’t the same type of bar. What can you expect from the Starting Strength shaft in terms of elasticity? Well, not a lot of elasticity. Starting Strength is basically a powerlifting program for novices, and by that I mean training revolves around the squat, deadlift, and the bench press. There’s also the press and power clean, but you’ll find no jerking and no snatches; therefore you don’t need a whippy bar. Also, even if Oly lifting was part of the program, it’s still a novice program. It’s not as though anyone is tossing around enough weight to benefit from bar whip. 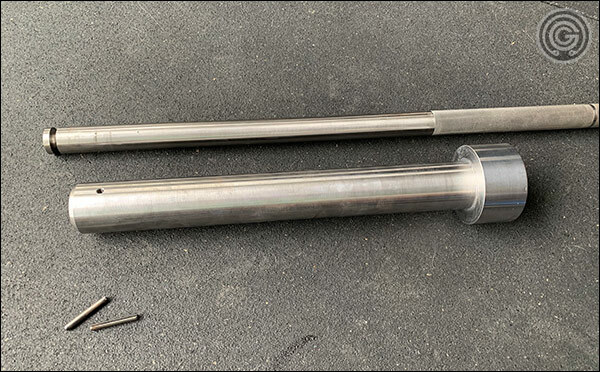 Now you could almost use this as a WOD bar as the sleeve rotation is above average and it is sporting a dual-marked, 28.5 mm shaft, but I think the presence of a center knurl is going to make the Starting Strength Bar a deal-breaker for CrossFitters. The knurling of the SS Bar is really quite impressive. It is definitely a solid knurl for the large array of lifts performed in the Starting Strength program. The grippy, bare steel shaft blends well with the moderate (but not overly so) knurling. I can say with complete confidence that this is a knurl most people will be pleased with. Since the new Starting Strength Bar is pretty much a power bar you shouldn’t be surprised to find a center knurl on it. I mean Starting Strength is a very squat-heavy program after all. As far as I can tell the center knurl is no different from the outer. While not always ideal on a power bar to match the center with the outer, it works with the SS Bar. At the end of the day I give the knurl a 10/10 score. There’s not too much to say about the finish, as there is no finish. The Starting Strength Bar is a raw steel bar; both the shaft and the sleeves. Raw, unfinished steel is beautiful, naturally tacky (grippy), and affordable. It will oxidize over time, obviously, but how your raw bar looks months and years from today has everything to do with how well you maintain it. Wipe it down and oil it on a regular basis and your bar will show little to no signs of rust, and it will develop a beautiful patina over the years. Neglect it and it’ll rust over, look like hell, and require a lot of elbow grease to restore. Still, I give Buddy a little slack on pricing because, a) he’s running a much smaller company than his biggest competitor (by a lot), and b) because his bars are just so damn unique and cool looking with those recessed end caps and pin holes in the sleeves. Plus it’s also worth mentioning that a $305 bar isn’t really pushing the upper limits of what you can spend on a bar, and the Starting Strength Bar should last a lifetime. Then again! Where is the warranty on this bar? 30-days only?! That’s all I can find, and that is not good. * of the two bars used for comparison purposes, the B&R is by far more similar in terms of design and intended application, and we’re only looking at a $6 price difference. The OPB is just meant to show that a high-quality, high tensile strength, bare steel bar can be made and sold for a lot less. The B&R Bar is literally the closest thing to the Starting Strength Bar. Matter of fact, I think most of us would agree that the B&R is just the differently-named predecessor to the Capps Starting Strength Bar; especially in the case of the original York B&R Bar. Of course both of these bars were built to Coach Rippetoe’s specifications and he tends to have only one way of doing things (the right way, obviously), so it’s no surprise they are so similar. The B&R Bar is one of those bars I simply refuse to part with. I have many better bars in my arsenal and I rarely even touch my B&R, but I have a particular fondness for it that prevents me from selling it. Now I do have one of the original York B&R Bars and I do think that is the better version of the two (Rogue’s current B&R 2.0 being the other, but in either case I think it’s an exceptional piece of equipment. It has a great, moderate knurl on a bare steel shaft, a functional but comfortable center knurl, and a reasonable price. 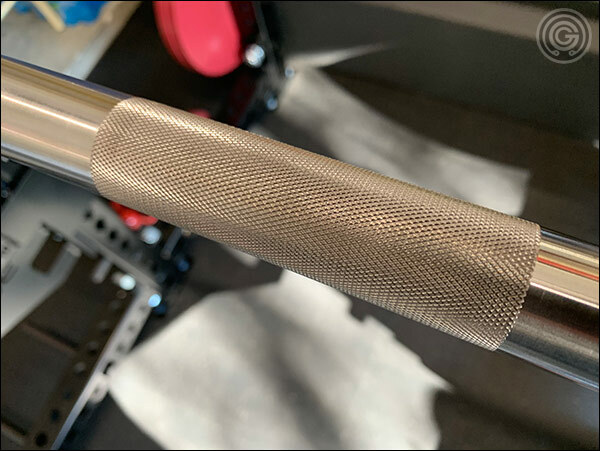 As you can see in the image above, the knurling on the B&R and the SS Bar is pretty much the same; both depth and pattern. Not exactly, but basically. I can absolutely see having a hard time deciding between a B&R and the SS Bar, especially if you can find a York B&R. 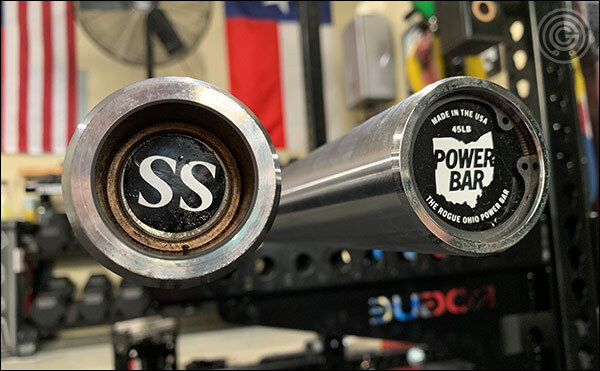 I don’t want to get too carried with this particular comparison because I do not think that the Ohio Power Bar is the ideal option for the Starting Strength program when compared to the Capps SS Bar or even the B&Rs, but it is popular and it is definitely affordable so it is worth mentioning. 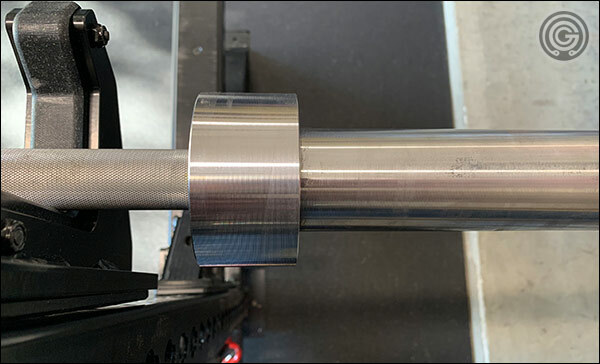 The reason I do not think the Ohio Power Bar is a good Starting Strength match is because the Starting Strength program is a novice program – the average novice will not appreciate the overly aggressive knurl on the OPB, and even if they are able to tolerate the outer knurl the fact that the center knurling is just as aggressive will be a major turn off for back squats and power cleans; of which you will be prescribed a great many. You’ll save about $40 if you go with the Ohio Power Bar over the Starting Strength Bar but I don’t think that’s enough money to warrant buying a less versatile bar. I can see choosing a B&R over the SS Bar (especially if you have a lead on the York variant), but the OPB not so much; not for actual Starting Strength programming at least. In other words, the Ohio Power Bar definitely has its place in gyms, but it is not going to be my first recommendation for a novice. I like the Starting Strength Bar. I like the bare steel shaft, I like the knurl, and I definitely like the aesthetics. It’s a beautiful piece of equipment and I’ve thoroughly enjoyed training with it for the last month or so. I certainly would have liked to have paid less for it considering that it has no finish, no warranty beyond a 30-day return period, and shorter sleeves than pretty much any other bar, but I don’t regret purchasing it and I’ll probably even keep it! So would I recommend the SS Bar to a novice beginning the Starting Strength program (or any other novice program for that matter)? Absolutely! I think it’s a great choice not only for a novice but also an intermediate lifter. This barbell will definitely keep up with your training over the years. Sure, one may very well upgrade this bar later on down the road, but I don’t think of it as an “intro” bar at all. It’ll go the distance if you need it to. 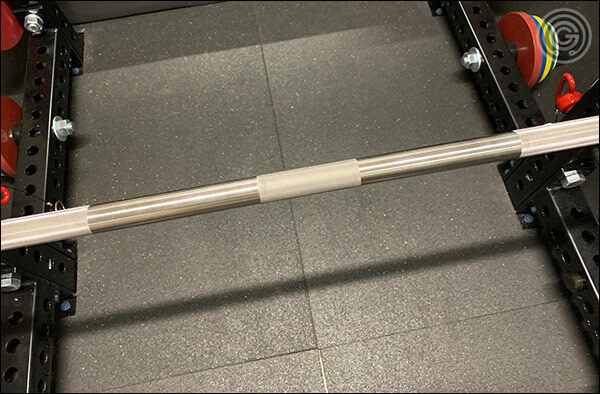 If you are far along enough in your training to call yourself a powerlifter then you might look strictly at 29 mm power bars rather than a multi-purpose bar like the Starting Strength Bar, but then again you certainly don’t have to. I mean the B&R has found a permanent home in plenty of powerlifting gyms and there is no reason this bar couldn’t as well. The Starting Strength Bar is a great bar. It’s better than average in terms of its performance and feel, and rivaled aesthetically by only a handful of bars. It needs a warranty though. I had an issue with my SS Bar and Buddy gave me a call to handle it. My bar has a slight(1 millimeter) bend and I just wanted to know if it was in acceptable tolerance. Buddy said it was and we had a brief chat. I asked him if the new bars are stiffer because the SS and AA Bars feel more rigid than my older TPB and he did confirm that 3 years ago he switched to a stronger bar stock. If you contact them on FB, they are Johnny on the spot… email is a bit slower. I have always loved the feel of Buddy’s bars. I have Rogue, Vulcan, AB, Ivanko bars but I always seem to reach for TPB and now the SS. I will say that the knurling is exactly like the All American Bar, but the bare steel makes all the difference in the world with feel. The chrome AB Bar is just too slick. The price is a bit high, but Rip has to make his cut I suppose. To their credit they did reduce the price of the bar by $20 and refunded me the difference without me even asking. It is a great bar. I do like the bar. I like it a lot actually. I still think the price could be better since there’s no finish and no warranty inflating the cost, but you’re probably right about Mark getting a cut and also like I said, $300 isn’t really pushing it in today’s bar market. Although the irony is that if it was finished or if that knurl wasn’t as good as it is, I wouldn’t have given it nearly as good of a review. It feels great as it is. Still, match this bar’s price with the raw OPB and you have the best novice/intermediate bar (and most badass looking bar) on the market. I don’t know for sure how accurate it is, but when I check other sellers of Buddy Capps bars (TPB in particular), they all state his bars have a 10 year warranty. Granted those are different bars, but same manufacturer. I did reach out to them to ask for a definite answer though. Why would that not be somewhere/anywhere on their site I wonder. It can’t be an oversight because it’s still not there despite them having had recent inquiries about it. Anyway I’m sure they don’t get all that many returns. Still, it’s nice to know you have coverage when making a purchase. I’m curious about the difference in loadable sleeve length between Buddy’s All American Bar and the Starting Strength bar. I think Brandon Campbell mention the loadable sleeve was 14.5″ for the AAB. Yeah I don’t understand that verbiage either. The chunky collars of the SS Bar reduced the sleeve length, not increased it. I don’t know about the All American, but if Campbell said 14.5″ then I assume it’s 14.5″ (which is less than the SS). Really if any bar was going to have so little loadable length it should be the SS; the “novice program” bar. Too many people own basic bumpers and need all the sleeve they can get. 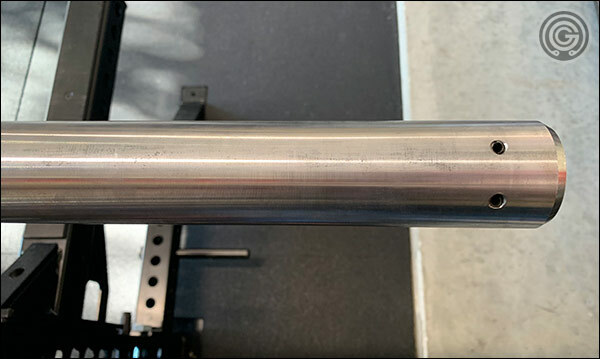 Max deadlift on a 16.25″ sleeve bar is in the 400’s with crumb rubber, right? That’s not a big DL. I don’t own the bar, but if you compare the specs and pictures of the Starting Strength and All American Bars, you can see that the sleeve designs are different. The AAB has similar sleeves to the TPB, in that the collar is super chunky, but a standard 3″ diameter. In comparison, the SS bar has collars that are not as wide (laterally) as the TPB/AAB, but are of greater diameter at 3.25 inches. The SS collars are still significantly chunkier than the B&R collars and so they do reduce the loadable sleeve length compared to the B&R, but the SS bar should have more loadable sleeve length than the AAB. Oh they’re of an actual larger diameter? Hrmm I wonder why. Are they trying to add weight since they’ve removed it from the length of the sleeve? Bizarre.